Its true that ICTA has always been into making hype through out the years. When we look back to the many ‘projects’ they have done in many government departments, mostly its a web sites, thats never updated after launch or some internal software system, which has failed to replace the existing systems. Their main focus has been all about quantity (except for the very few/rare systems that are useful). They just wanted to show that there are doing something…! e-asia in Lanka is a hype. Just to please the heads. Public are unable to get any court journal or a police report over the counter as they are not using any computer to manage the data. Unable to use local languages because of wrong registration in the ISO. First we have to use both mother tongues in Lanka. Local languages are not computer friendly, unable to read the data across all platforms, incorrect and incomplete. If I was given a slot at e asia I would have given all examples. This is one more attempt by you to tarnish and discredit the good work done by the Sinhala Buddhist government. You tried it earlier with Arthur Clark Institute, and now with the ICT agency. No institution is perfect. If you go looking for dirt you can always find some. You are an expert in this. Why not talk about the so many good things done by the hard working officers of the agency? Or is it that the likes of you cannot bear to see success by a nonUNP government? The ICTA, like every other public sector agency, must be open to public and academic scrutiny and be accountable for meeting statutorily mandated goals and objectives. There cannot be sacred cows in the ICT world! Hype and rhetoric do not substitute tangible, independently verifiable accomplishments. (They only help cover up, for a while, the sad lack of proper accomplishments.) I’m the first to acknowledge that some sizzle/PR is needed in this day and age for a modern agency — but what happens when it’s all sizzle and no steak, as is the case with ICTA of Lanka? SciDev.Net carried another perceptive analysis was written by Athar Osama, a senior executive at ANGLE Technology Group in the US and specialist in technology-based economic development. He wrote: “The real progress of ICT in development has been quite different from the hope and hype. There is much wishful thinking about the initiatives in India and elsewhere. In fact, there has been scant sharing of information or best practices across projects, and a negligible impact on the lives of ordinary people. “On top of this is the lack of a systematic and rigorous analysis of just how efficient the projects are. One exception is a study by the Indian Institutes of Information Technology in Bangalore. Its analysis of six prominent programmes in India disprove several of the myths of ICT for development. What comes to my mind when the word ICTA is mentioned is නටපු තොවිලෙකුත් නැති, බෙරේ පලුවකුත් නැති story. 5 years and millions of dollars could have done so much more than this. ICTA started a stylish campaign initially by showing it is a sophisticated modern establishment and it was beyond reach of the many. Later it became a kada mandiya what was open to everybody. Alas! the shift of paradigm didn’t do justice to the nation. Corrupt deals, granting projects to friends and kiths, tender frauds, occasional success stories that were overhyped were the outcome. But, to many ICTA means a sacred cow. ICTA should be questioned and taken to the task. Luckily for the ICTA, rather than bloggers and people like Rohan S and Nalaka G, mainstream media do not have the ICT literate investigative journalists to catch the ICTA pants down. How can one say that e-sri lanka was a flop? H.E. even got an AWARD for his contribution!!! We are NOT talking about e-Sri Lanka here. We are talking about the ICT Agency of Sri Lanka, established in 2003 as a sunset agency with a five year time horizon which has already been surpassed. As far as we can tell from the hype, ICTA has outgrown e-Sri Lanka. So let’s have conceptual clarity if we want meaningful discussion. Many awards, we all know, go by favour so that’s not an independent verification of anything. As Rohan Samarajiva says, at least now let us agree on ‘criteria that may be used by the citizens of Sri Lanka to assess success and hold it (ICTA) accountable for the next five years’. Is this too much to ask of a public agency without it taking offence and calling us names? There is a simple explanation for the near total absence of critical analysis of ICTA in Sri Lanka’s print and broadcast media: ICTA is a big time advertiser. It is spending a good part of its millions of dollars on paid advertising in newspapers and TV. The weeks preceding e-Asia 2009 have seen a surfeit of this spread across state owned and privately owned media. Which media organisation wants to get off this gravy train? Arguably the least corruptible media organisation left in Sri Lanka, the Ravaya Sinhala newspaper (owned by a journalists collective) also seems to have caved in under this advertising influence. I realise how hard it is for media to break even in these lean times, so am not entirely blaming the media for this state of affairs. See the achievements of ICTA!!! All these are my videos published on you tube. Is this what you do with 50 million US$???? What have we achieved in the past 8 years??? Are we not still at 2002 level!!! In your last comment, you say “…Ravaya Sinhala newspaper (owned by a journalists collective) also seems to have caved in under this advertising influence.” Not quite right. In their issue dated 06.12.2009, Ravaya carries a full page article by computer engineer Chanuka Wattegama that takes a hard look at e-government situation in Sri Lanka. It is not a propaganda piece for the ICTA. You are quite right, so I stand corrected. And I am very glad to be wrong in a matter like this! As I read my good friend (and one time co-author in Digital Review of Asia chapters on Sri Lanka, http://www.digital-review.org/) Chanuka Wattegama’s article on e-gov in Sri Lanka in the last issue of Ravaya, it became clear that there is at least one media organisation left in Sri Lanka that cannot be silenced or bribed by ICTA’s many millions. It is all the more remarkable because 1) Ravaya has also printed paid advertisements for e-Asia 2009; and 2) one of its weekly columnists (on matters ICT!) is the incumbent head of communication at ICTA. As a journalist-owned media organisation, Ravaya needs advertising even more than those companies owned by media moguls with multiple business interests, so it is perfectly fine for Ravaya to accept ICTA advertising. Accommodating a partisan column by an ICTA staff member is also a matter of editorial discretion for the newspaper. 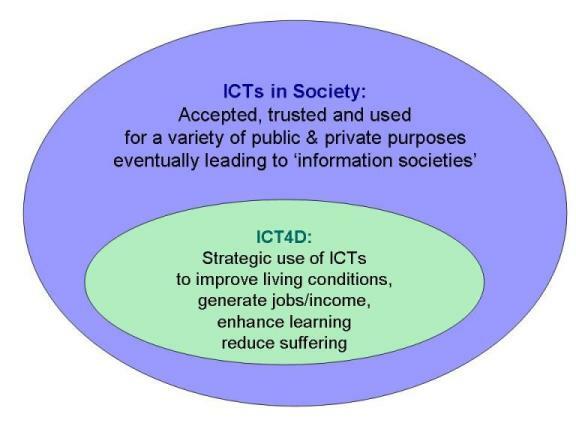 It is to Ravaya’s credit, and a sign of its media pluralism, that they would accommodate evidence-based critiques of ICTA and e-gov in Sri Lanka at the same time. There is hope for us yet…and I publicly bow my head in salute to Ravaya (and Chanuka). PS: If Ravaya were to go online soon, Chanuka’s article (and other worthy content regularly appearing in the print edition) would become more widely accessible. Dec 04, 2009 (LBO) – Sri Lanka will have to lobby to retain funding for its e-Sri Lanka initiative, as the World Bank draws up a lending program for Sri Lanka for the next three years, an official said. The World Bank currently supports the e-Sri Lanka project – an initiative to improve access and use of ICT (information communications technology) by citizens, businesses and government – with a 53 million dollar credit. “We have received a request for additional funding for the ICT Agency (ICTA) e-Sri Lanka initiative,” Naoko Ishii, country director for Sri Lanka said on Friday. I usually trust LBO as a credible news source, but am puzzled why they describe E-Sri Lanka as a World Bank credit of 53 million dollars. All this time I had heard that this amoint was a grant, that is money that need not be paid back one day. Can someone please confirm which one it is?